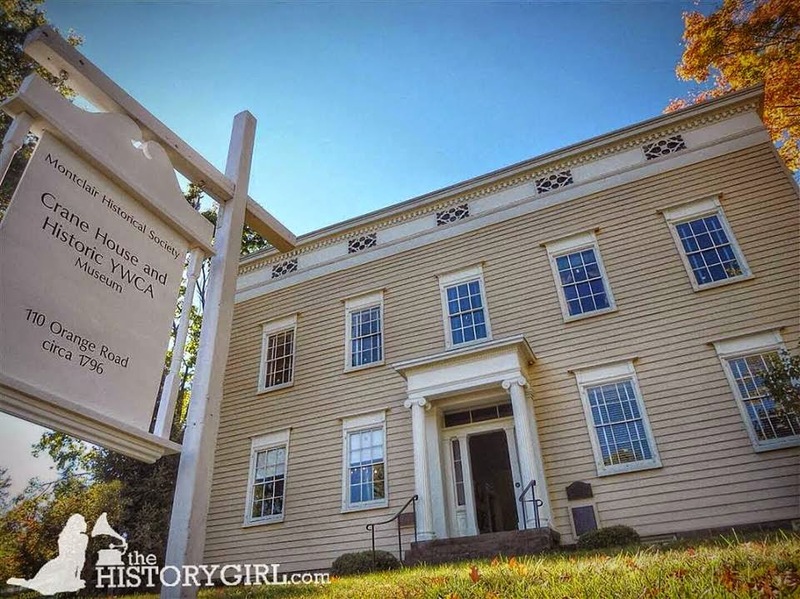 NJ Weekend Historical Happenings: 2/17/18 - 2/18/18 ~ The History Girl! Morristown National Historical Park and the Washington Association of New Jersey are pleased to announce the Grand Opening of the Discover History Center and the completion of the Military Gallery at Washington’s Headquarters Museum on Presidents Day weekend, February 17-19, 2018. The result of nearly a decade of work, the new Discover History Center (DHC) is a $2.2 million dollar project for the 21st-century. The Washington Association and its fundraising efforts included gifts from members, friends, and corporations, contributing $1.8 million dollars to the project, enabling its completion. The galleries feature many never-before seen artifacts, interactive activities geared towards children and adults, and five new videos to experience. Visitors can step into the footsteps of a Continental soldier for inspection, lift a musket to feel its weight, and walk past snow drifts and into a re-created log hut. On the museum’s main level, the military gallery now features an interactive timeline of the Revolutionary Era. A redesigned mini-theater provides space for the park’s introductory film, uniform signage, and audio-description and listening devices ensure accessibility for all visitors to the museum. The official opening ceremony will be Saturday at 10:00 am in the Washington’s Headquarters Museum Auditorium, 30 Washington Place, Morristown, NJ. 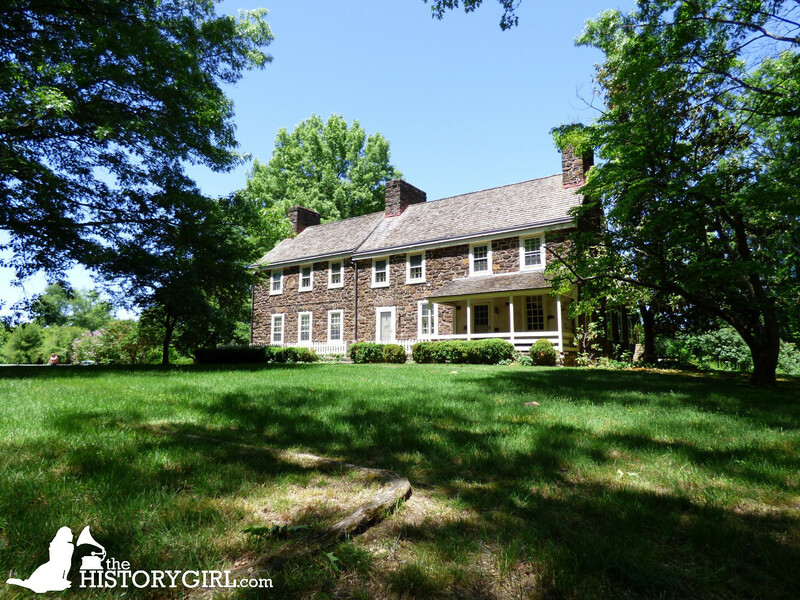 * The Ford Mansion, used by General Washington as his headquarters, will be open for self-guided tours. Visitors may enjoy colonial toys, games, and riddles in the mansion. 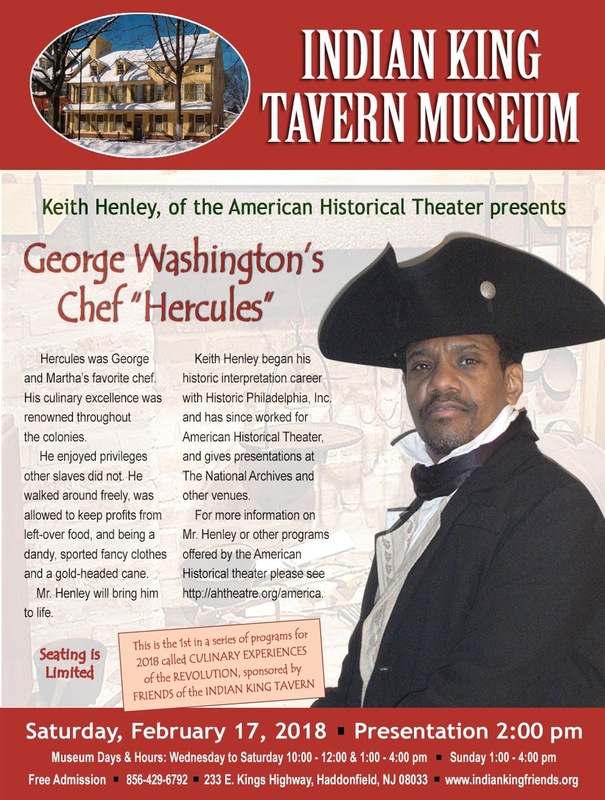 * In the Museum, representatives from the Washington Association, Crossroads of the American Revolution, Morris County Tourism Bureau, and the Museum of Early Trades and Crafts will have special exhibits and make presentations each day. * Musician Linda Russell will perform the hammered dulcimer, playing historic music of the time period. 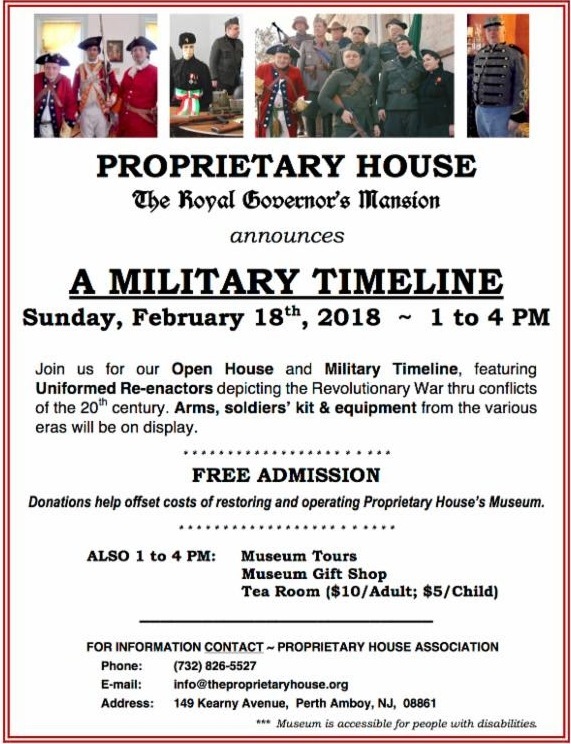 *The 2nd New Jersey Regiment, Helms' Company reenactment group will represent the soldiers who camped at Morristown, and have a variety of uniforms, weapons, and equipment on display. 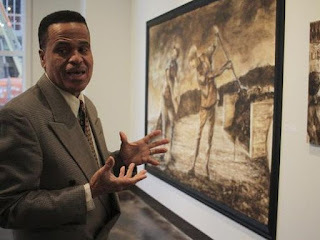 * Photo-Artist Xiomaro will discuss a new exhibit of his work on display in the museum. Gallery walks will take occur each day at 1 pm, and a selfie station is available. 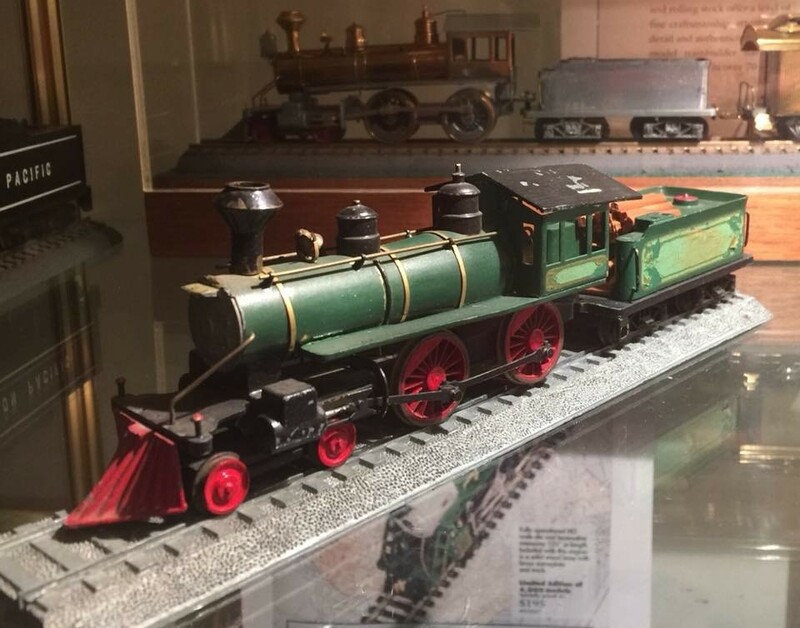 During the three-day opening event, free timed tickets will be issued to visitors for entrance into the Discover History Center exhibit at the museum information desk on a first come, first serve basis. Visitors may enjoy the other activities while waiting for their timed admission into the exhibit. The museum will also be open on Tuesday, February 20th and will then resume its normal weekly visitor hours of Wednesday-Sunday, 9:30 am - 5:00 pm. During museum operating hours, guided tours of the Ford Mansion are available by timed tickets available at the museum information desk. Admission to the Washington’s Headquarters Museum and Ford Mansion tours is free to the public. Morristown National Historical Park is located at 30 Washington Place, Morristown, NJ. For more information, call 973-539-2016 x-210 or visit www.nps.gov/morr. Board a MAC trolley tour for a 30-minute evening ride through the streets of Cape May. The paranormal findings of ghost writer Craig McManus come alive as your guide translates McManus' stories. Tour offered Saturday at 7:00 pm and 8:00 pm. Admission: $12 for adults and $8 for children (ages 3-12). Sponsored by the Mid-Atlantic Center for the Arts & Humanities (MAC). For more information, call 609-884-5404 or 800-275-4278 or visit www.capemaymac.org. On Saturday, the Cape May Lighthouse, Oil House and Museum Shop reopens for the season. The lighthouse is an 1859 structure with 199 steps to the watch gallery for a panoramic view of the Jersey Cape and Atlantic Ocean. For those who choose not to climb, the Oil House contains a fully-accessible Visitors' Orientation Center and a Museum Shop stocked with maritime accessories and lighthouse memorabilia. Open 12:00 noon - 3:00 pm on Saturday, Sunday, and Monday. Cape May Point State Park is located in Lower Township, NJ. Admission to the Visitors' Orientation Center and the ground floor of the lighthouse is free. Tower admission is $8 for adults, $5 for children (ages 3-12). Sponsored by the Mid-Atlantic Center for the Arts & Humanities (MAC). For more information, call 609-884-5404 or 800-275-4278 or visit www.capemaymac.org. See what's cooking in two farmhouse kitchens -- one with a circa 1785 open hearth and one with a 1892 Glenwood stove -- and learn about the equipment, furnishings and other ingredients that made them work! Tasting is part of the fun ... for those who help the cooks by splitting firewood for the hearth and stove, bringing in ice for an icebox and churning butter for bread made from the farm's wheat. In the parlor, there will be books, board games and music. This program runs from 10:00 am - 4:00 pm. Enjoy a guided trolley tour of Cape May's Historic District, followed by a guided tour of Cape May's only Victorian house museum, the Emlen Physick Estate, with the house tour theme for 2017-18, "Let's Go Shopping! Victorian Consumer Culture." Tours begin and end at the Washington Street Mall Information Booth, Washington Street Mall at Ocean Street. Tours will be held Saturday at 11:00 am, 12:15 pm and 1:30 pm and Sunday at 11:00 am and 12:15 pm (11:00 am tours include a guided tour of the Physick Estate; 12:15 and 1:30 pm tours include a self-guided tour of the Physick Estate, available through 3 pm). Admission is $22 for adults and $14 for children (ages 3-12). The Physick Estate is located at 1048 Washington Street, Cape May, NJ. Winter trolley tours are co-sponsored by the Carroll Villa Hotel, Congress Hall Hotel, the Grand Hotel and the Queen Victoria Bed and Breakfast Inn. 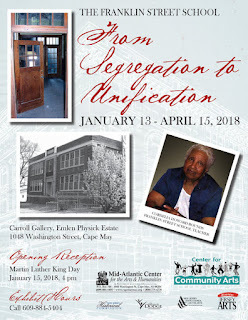 Presented by the Mid-Atlantic Center for the Arts & Humanities (MAC). For more information, call 609-884-5404 or 800-275-4278 or visit www.capemaymac.org. Enjoy this entertaining and educational guided tour of Cape May's only Victorian house museum, the 1879 Emlen Physick Estate, with the house tour theme for 2017-18, "Let's Go Shopping! Victorian Consumer Culture." The tour will be held Saturday and Sunday at 11:45 am. Admission is $12 for adults and $8 for children (ages 3-12). The Physick Estate is located at 1048 Washington Street, Cape May, NJ. Sponsored by the Mid-Atlantic Center for the Arts & Humanities (MAC). For more information, call 609-884-5404 or 800-275-4278 or visit www.capemaymac.org. Spend time exploring the rooms and collections of the Physick House Museum at your own pace, with knowledgeable interpreters and volunteers to answer questions. In some rooms you will meet a member of the Physick family or domestic staff, who will discuss the "hows and whys" of the objects found there. Self-guided tours will be held Saturday and Sunday from 1:00 - 3:00 pm. Admission is $12 for adults and $8 for children (ages 3-12). The Physick Estate is located at 1048 Washington Street, Cape May, NJ. Sponsored by the Mid-Atlantic Center for the Arts & Humanities (MAC). For more information, call 609-884-5404 or 800-275-4278 or visit www.capemaymac.org. Get acquainted with Cape May on a trolley tour as knowledgeable guides present entertaining and educational stories about the nation's oldest seashore resort (tours begin and end at the Washington Street Mall Information Booth, Washington Street Mall at Ocean Street). Offered Saturday at 11:00 am, 12:15 pm and 1:30 pm and Sunday at 11:00 am and 12:15 pm. $12 for adults and $8 for children (ages 3-12). Winter trolley tours are co-sponsored by the Carroll Villa Hotel, Congress Hall Hotel, the Grand Hotel and the Queen Victoria Bed and Breakfast Inn. Presented by the Mid-Atlantic Center for the Arts & Humanities (MAC). For more information, call 609-884-5404 or 800-275-4278 or visit www.capemaymac.org. Board a MAC trolley tour for a 30-minute evening ride through the streets of Cape May. The paranormal findings of ghost writer Craig McManus come alive as your guide translates McManus' stories. Tour offered Sunday at 7:00 pm and 8:00 pm. Admission: $12 for adults and $8 for children (ages 3-12). Sponsored by the Mid-Atlantic Center for the Arts & Humanities (MAC). For more information, call 609-884-5404 or 800-275-4278 or visit www.capemaymac.org. Tours of the Crane House & Historic YWCA are on the hour and the last tour begins at 3:00 pm. Admission is $6/adult; $5/student/senior with ID; $4/child; under 2 free. For more information, call 973-744-1796, e-mail mail@montclairhistorical.org, or visit www.montclairhistorical.org. Tours are limited to 20 people each tour. Tours at 11:00 am, 1:00 pm, and 2:00 pm. Tours may be consolidated to fill available seating. Bottled water will be provided upon check in. Tickets are $25 per person. For tickets, click here. Blue Willow China has been popular for over 200 years. First made in China, it made its way to England in the late 1700s. Share a cup of tea, traditional tea sandwiches and sweets served on the Dames' Blue Willow China. Hear about the story of the star crossed lovers that fled the wrath of the tyrant who wished to marry the young women. Learn the history and evolution of the pattern we've come to know as Blue Willow. Admission is $20 per person. Seating is limited; prepaid reservations are required to guarantee seating. Tickets are limited to four per person. Program runs from 2:00 - 4:00 pm. Peachfield is located at 180 Burrs Road, Westampton, NJ. For more information and to register, call 609-267-6996, e-mail colonialdamesnj@comcast.net, or visit www.colonialdamesnj.org. On Sunday, drop in for a talk with President Ulysses S. Grant at the Allaire Chapel. Before or after the program, the villagers will be preparing for President's Day - drop by and visit them! The program will take place from 1:00 - 2:30 pm at the Allaire Chapel in Allaire Village. Tickets $15.00 per person. To purchase tickets, go to www.allairevillage.org and click on the event tab. The evolution of the Preserve Greystone movement and its impact on preserving other Kirkbride buildings nationwide will be the focus of a talk by authors Rusty Tagliareni and Christina Mathews at Acorn Hall on Sunday at 2:00 pm. The program is sponsored by Morris County Historical Society (MCHS). 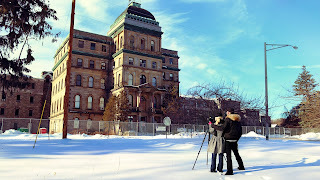 This is the first of two multimedia presentations by the best-selling authors of the award-winning Images of America book Greystone Park Psychiatric Hospital, Greystone’s connection to remaining Kirkbride buildings, and the similarities between Greystone and the Trans-Allegheny Lunatic Asylum (TALA) in West Virginia, a preserved Kirkbride building. A MCHS trip to TALA, which is open to the public, is scheduled for Thursday through Saturday, April 12-14. In addition to discussing how the loss of Greystone has led to stronger preservation efforts of surviving Kirkbride buildings nationwide, Tagliareni and Mathews will show a 15-minute screening of their never-before-seen, in-production documentary film Greystone’s Last Stand. They also will review their plans with the Morris County Park Commission to build a memorial on the grounds of the old Greystone hospital. Proceeds from this event will be donated to the established fund for the memorial. The second event featuring Tagliareni and Mathews will be held on Sunday, March 11, also at 2:00 pm, when the authors will focus specifically on the history of our nation’s Kirkbride asylums and the many connections between Greystone and Trans-Atlantic Lunatic Asylum. The program also will include a vignette screening of Greystone’s Last Stand, highlighting the link between the two asylums and how one could have saved the other from demolition, if only given the chance. Book signings will follow both presentations. Tickets to each event are $12 for adults, $10 for seniors, $7 for students, and free for MCHS members, attendees participating in the TALA bus trip, and children under 12.